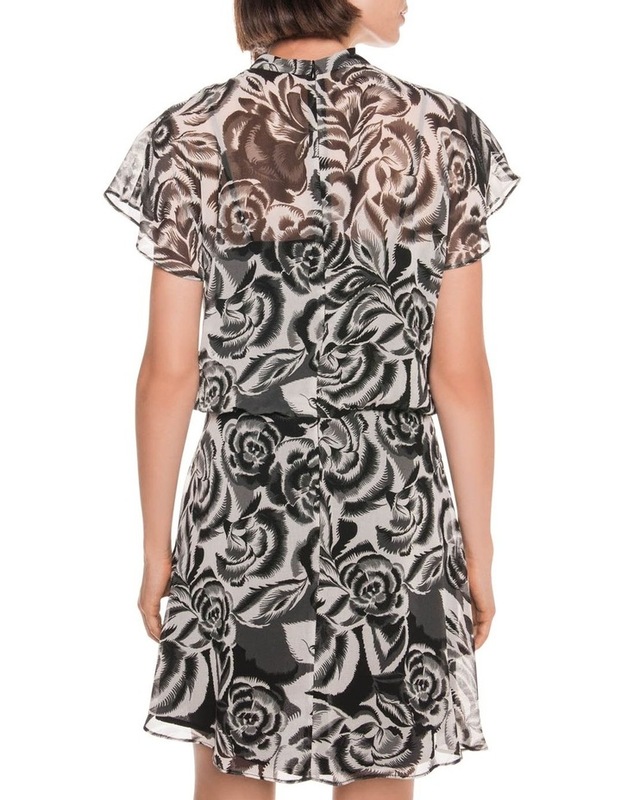 Made from an abstract floral georgette from Europe, this dropped waist dress features a twist front neckline, extended shoulder sleeve and drapey skirt hem. Fully lined. Fastened with an invisible zip at the centre back. Made in Australia.